Cargo Ship Saves 29-Year-Old Sailor In South Pacific After Her Boat Flips On Wednesday, Susie Goodall was 2,000 miles west of South America when her boat capsized in heavy wind, breaking its mast and knocking her unconscious. Susie Goodall on her boat DHL Starlight on July 1 at the start of the solo around-the-world Golden Globe Race. This week, Susie Goodall found out. 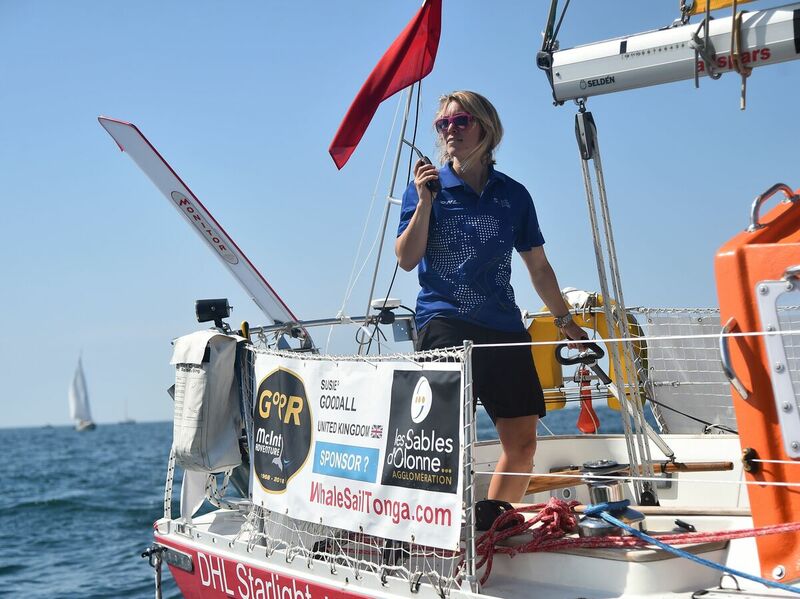 The 29-year-old British woman was the youngest participant in the Golden Globe Race which sends sailors from the coast of France around the earth and back to the same port. Or at least that's the plan. She is not the first sailor to run into trouble in the race. As NPR reported, an accident in the Indian Ocean in September forced the evacuation of a naval commander; skippers from France and Ireland have also had to be rescued. An earlier version of this story incorrectly referred to the annual Golden Globe Race. The race is not an annual event.